We get involved in and support several local and international missions throughout the year. Here are just a few of the annual missions. 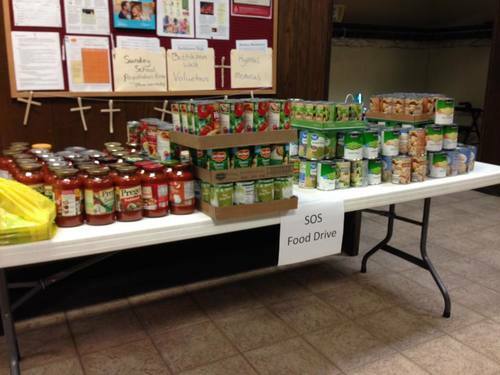 There is a collection basket for the local food pantry, Soup or Socks (SOS) at Christ Lutheran. We also have several volunteers who work at the pantry a few times a year. 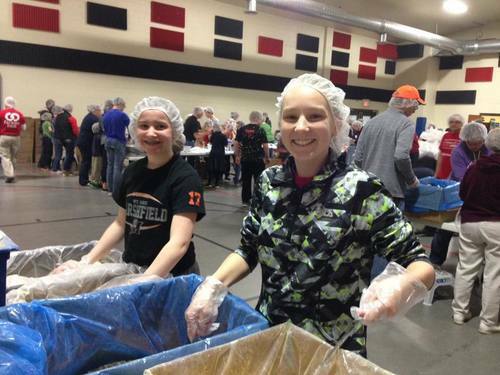 Every April, Marshfield hosts a mobile pack event, where local volunteers pack food for starving children around the world. Go to FMSC.org to learn more. 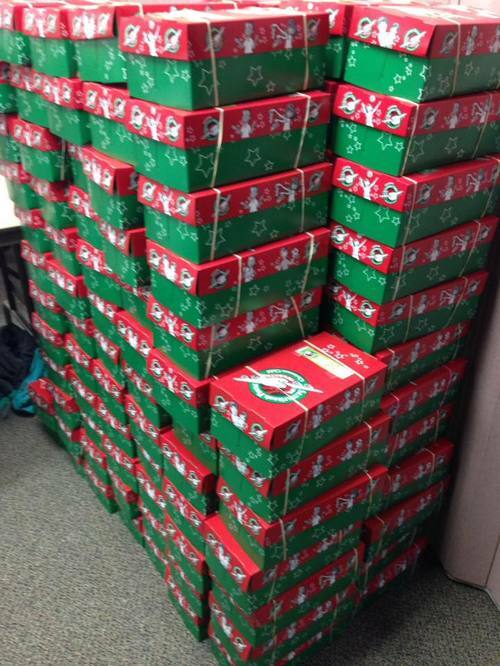 Every fall, we fill over 150 shoeboxes for Operation Christmas Child. Members of the congregation will donate small toys, hygiene items, and school supplies to pack in the shoeboxes, as well as money for shipping costs. They are sent to needy children all over the world who normally wouldn't get a Christmas gift. The children who receive the boxes will also get to hear God's Word by going through a sort of 'Sunday School' type program. Go to www.samaritanspurse.org/what-we-do/operation-christmas-child for more information. Leading up to Veteran's Day, we collect donations to give to the Military Bible Sticks program, which send audio bibles to soldiers stationed all over the world. Our Social Ministries group takes a love offering every Thanksgiving. The money raised is used to support missions and local families in need. Our first international mission trip was to Guatemala in 2017. We are heading back in for a week in October 2019.